Dry skin is a big problem in itself… it easily results in dullness and cracks if not taken proper care. To keep your skin beautiful and attractive, regular moisturizing is a must for all. For those suffering from dry skin problem, night time is the best hour to add nourishment and heal your skin in an effective way. Below we have discussed about some of the most popular night creams brands that you can try out to make your skin look attractive and glowing in a natural manner. A perfect night cream from the house of Lakme, it moisturizes your skin in a smooth and perfect manner. It also protects your skin from breakage, wrinkles, oil secretion and dark spots, thus bringing a radiant glow naturally. The intense whitening feature of this cream makes you look fairer and fantastic with few days of usage. Pamper your skin with complete nourishment night cream from Oriflame. Made of sea buck thorn oil which is loaded with nutrient components such as lipids, vitamin E and vitamin C, this cream is suitable for all types of skin equally. A true revitalizing cream that makes you feel good, this night cream from Himalaya is more like a moisturizing lotion that is non greasy or oily. It is soft and soothes the skin deep, giving you a silky and radiant look in the morning. 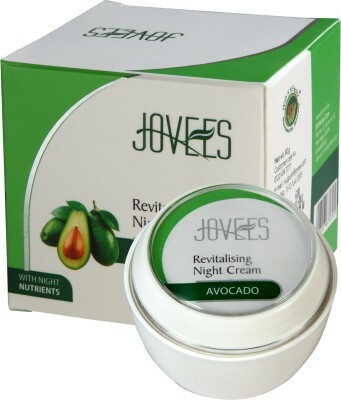 Made from natural ingredients such as jojoba, avocado, sunflower and rosemary, this night cream of Jovees is provided with active formulation to repair and moisturize damaged skin cells. It enhances the oxygen circulation in your skin with various health nutrients, thus making your skin appear toned and supple successfully. The cream is thick and buttery in consistency which is perfectly suited for girls with dry skin problem. A handy help for middle aged women who will love to have all anti-aging features in one cream. From wrinkle reduction, round the clock moisturizing to making the skin toned and firm, this revitalizing cream from Loreal has it all for you. Very light and silky in texture, the Lotus Nutranite Night Cream gets easily absorbed in the skin and is suited for all types of skin amiably. Made from fruit acids extracted naturally from grapes and berries, it has a mild fruity smell that lingers pleasantly. From repairing skin damage to enhancing firmness, you can use this cream to boost up your skin’s flexibility and moisture in a balanced manner. Get to admire supple and glowing skin within weeks of using Kaya Nourishing Night Cream. Perfectly formulated to satisfy all types of skin, it has a non greasy and matte finish that works evenly on your skin tone. The “Lumiskin” ingredient used in this night cream makes your skin effectively fairer and fresh in the morning.